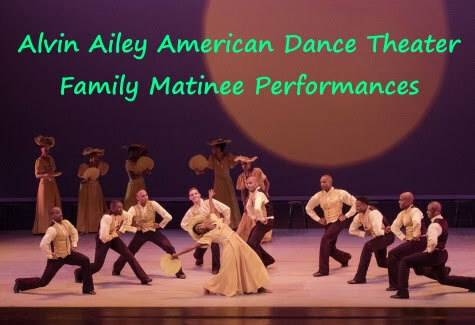 The Alvin Ailey American Dance Theater's has returned to New York City Center for performances from Nov.29 to Dec.31, which includes the Family Matinee series on Saturdays at 2pm. 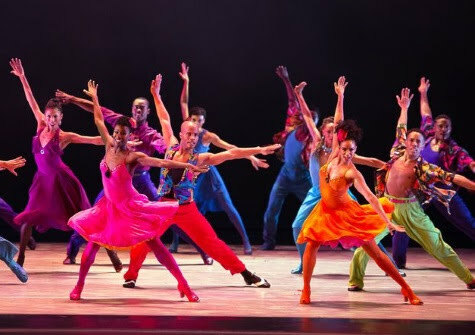 The Winter in Lisbon - rhythmic and colorful ballet celebrating four decades of Dizzy Gillespie’s brilliant music. credit: AAADT in Robert Battle's Mass. Photo by Paul Kolnik. Mass - a 2017 company premiere by Artistic Director Robert Battle with a score by frequent collaborator John Mackey, showcasing Mr. Battle’s signature ritualistic choreography. Revelations (with live music!) 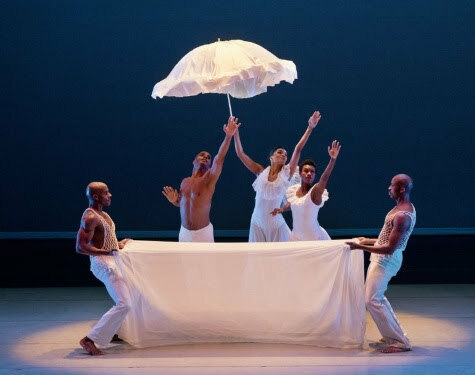 - Springing from Ailey’s childhood memories of growing up in the south and attending services at Mount Olive Baptist Church in Texas, Revelations pays homage to the rich cultural heritage of the African-American and explores the emotional spectrum of the human condition. - How do dancers get into Alvin Ailey American Dance Theater? - What do they do when something goes wrong on stage? - How do they prepare before performances? - What motivates them to dance? And LOTS of other questions! I'd share some of the answers with you but I think it's better for you to take your family and ask/hear in person. 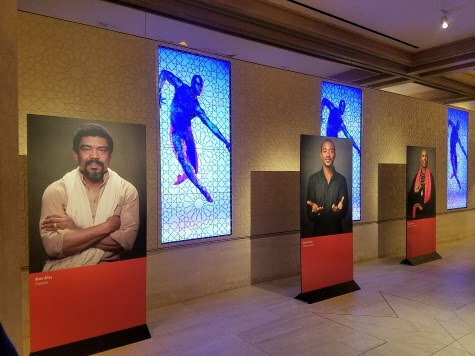 It's a great way to get a peek into the lives of the dancers, as well as hear what it means to them to dance with Alvin Ailey American Dance Theater. 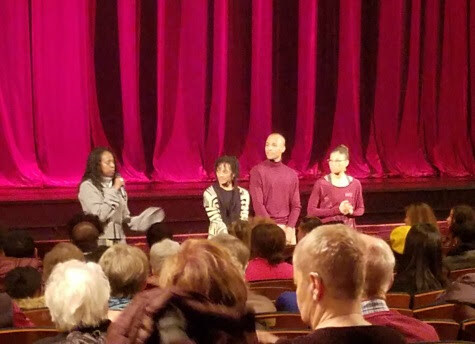 The Ailey Organization invites audiences of all ages to experience the Family Matinee series - performances on Saturdays at 2pm that are all followed by a question-and-answer session with Ailey’s acclaimed dancers. 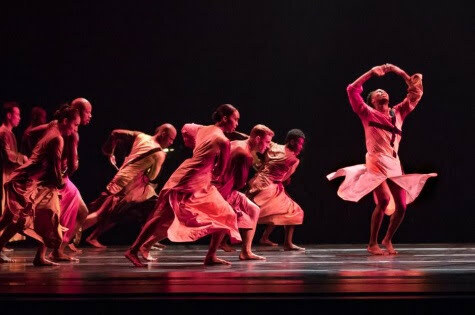 The finale of every Family Matinee program will be Alvin Ailey’s timeless American masterpiece Revelations - one of the most well-known and respected ballets in the history of dance, acclaimed as a must-see for all. 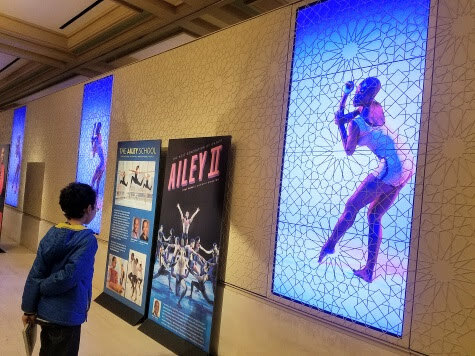 Whether watching as a child for the first time, as a parent remembering his or her childhood experience with live theater, or as a family that has made Ailey a holiday tradition, all will enjoy the magic of Ailey. On Saturday afternoons, bring the whole family to enjoy the performance and stay for a free Q&A with the Ailey dancers in the theater following the inspiring finale of Revelations, which is acclaimed as a must-see for all ages. Ailey celebrates the strength, power, and dynamism of its male dancers in a special one-night-only program featuring performances by veteran dancers Clifton Brown, Vernard Gilmore, Yannick Lebrun, Jamar Roberts, and Glenn Allen Sims. Dance into the holidays with a festive matinee performance on Christmas Eve, featuring Twyla Tharp’s The Golden Section, Billy Wilson’s The Winter In Lisbon, Robert Battle’s Ella, and Alvin Ailey’s timeless Revelations. The New York City Center season welcomes the return of “Ticket to Dance,” which invites audience members to try their first Ailey Extension class FREE with the presentation of a performance ticket stub (returning students receive a free class with the purchase of a 10 - class card). The offer is valid for 60 days from the performance date.